These days you can’t go very far without seeing bottled water, whether you’re scanning the aisles at your favorite supermarket, cheering on your kids at their latest sporting event, or perhaps packing for a trip to your favorite vacation destination. Our dental office in Wicker Park wants you and your family to stay healthy and hydrated, which may mean drinking more bottled water. Let’s take a look at the pros and cons of the getting water from the bottle vs. the tap. In the event of a disaster or other emergency, your dentist in Wicker Park knows that having bottled water on hand is definitely helpful and it can be a lifesaver depending on the circumstances. 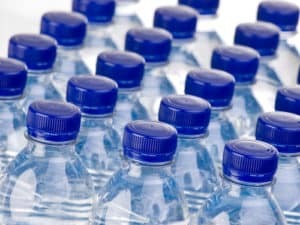 Because bottled water does not expire, it’s always a good idea to keep some stored away, just in case. Depending on the condition of your tap water, bottled H20 also tends to taste better too. This usually due, in part, to the purification process certain types of bottle water must undergo during the preparation process. Our Wicker Park dental office wants you to know about the possible health risks associated with bottled water. Did you know commercially produced bottled water does not contain fluoride, while tap water does? Fluoride is a naturally occurring mineral that helps keep teeth strong and healthy. It’s especially important that kids get enough fluoride for their growing teeth. Some plastic bottles also contain the chemical bisphenol A (BPA) which can seep into the water before you drink it. This risk increases significantly if your water is stored somewhere hot in direct sunlight.